Competing for Science radio documentary aired on 100-102 Today FM on St Patrick’s Day, March 17th at 10am. Competing for Science is a Curious Broadcast production made with the support of the Broadcasting Authority of Ireland. 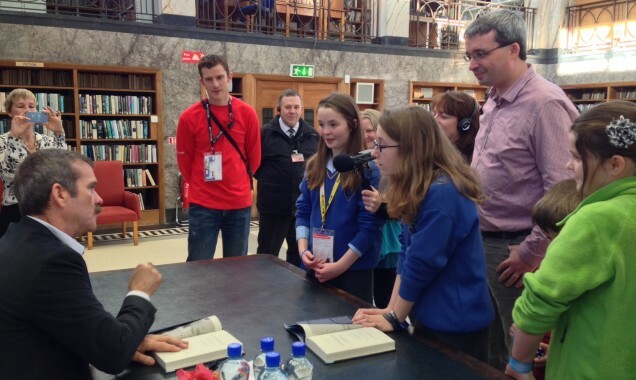 Competing for Science is an audio journey of a team from Kinsale Community School as they compete in the Young Scientist Exhibition 2014. This is a story of the history of Ireland’s legendary competition as it celebrates its 50th year. is a personal insight into the creativity, hard work and diligence of these young scientists. It is also the story of a small community coming together to work with and support their young people in their education and to instil in them a curiosity and love of learning. Competing for Science documents and celebrates the history of this unique exhibition, one that has grown over the last 50 years into a science event that attracts over 400,000 people each year, making it Europe’s largest event for young people and science, and our most effective initiative in making science accessible to all. Competing For Science This is the history of an Irish success story and for the young people involved it is an experience of a life time, where they come together with their peers to celebrate science and to share their curiosity, creativity and learning.